I'm going to go ahead and throw caution to the wind and say it: Spring has sprung! All of the snow has melted, the birds are singing, flowers are popping up everywhere, and the temperatures haven't dropped down into the arctic range in weeks! Along with packing away the winter boots and gloves, it is also time to celebrate the season by taking the family to enjoy alfresco dining and fruity drinks — all while saving a bundle thanks to Restaurant.com! If you've never visited Restaurant.com, you'll want to head to their website to see what local restaurants and small businesses in your area are included (or in areas to which you may be traveling) so that you can get the best deal on your next meal. It's easy to search by location, cuisine, price range and more as the site is designed to help diners find and visit local restaurants, get a great value, and, in turn, strengthen the local economy. What more could you ask for? A sale, of course! 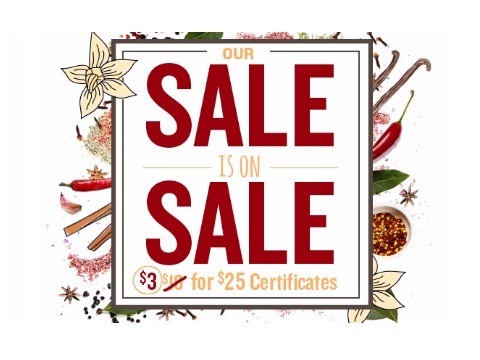 To help ring in spring, Restaurant.com is serving up $25 Certificates for only $3 by using the promo code SALE. Not to mention that all of their other deals are on sale, too! For example, grab a $10 Certificate for just $1.20! So go ahead and fill up your cart with $3 gift certificates for grab bag gifts, teacher thank you's or simply a tasty meal out for your friends, family, coworkers or YOU! We're talking a $25 gift certificate for only $3! But don't delay, because this offer ends Thursday, March 31st at 11:59 pm CT. Your favorite restaurant might be waiting for you to discover it right in your own neighborhood (they provide savings at more than 22,000 restaurants across America! ), so let Restaurant.com not only introduce you, but save you a great deal of money at the same time. POWERADE Celebrates the Potential in All Athletes with the #JustAKidFrom Campaign! Growing up as a kid who loved to play and participate in all kinds of sports (and being fortunate to have a natural athletic ability), I love seeing my own young athletes try them all. 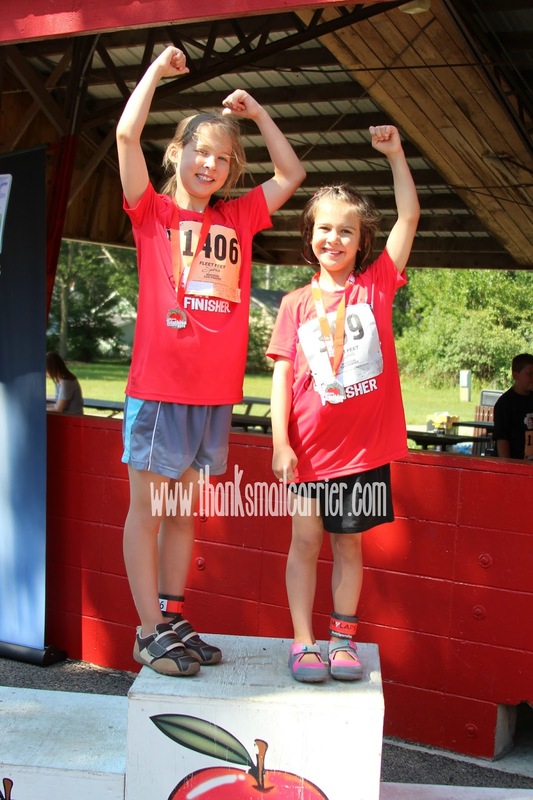 Soccer, swimming, basketball, biking, running, tennis, T-ball, ballet, gymnastics, and more — I love that these two walk away with a smile nearly every time! However, whether you are a "sports family" or not, there is no question that the pressure of the competition is there even for the youngest athletes. I want my girls to always feel as though they are able to participate in whatever sport they want to try, no matter if they are very skilled or are experiencing it for the first time. After all, there is potential in every athlete, whether they are the star player or spend a bit of time sitting on the bench. The important thing is that they leave the field (pool, rink, stage, etc) feeling confident that they tried their best! 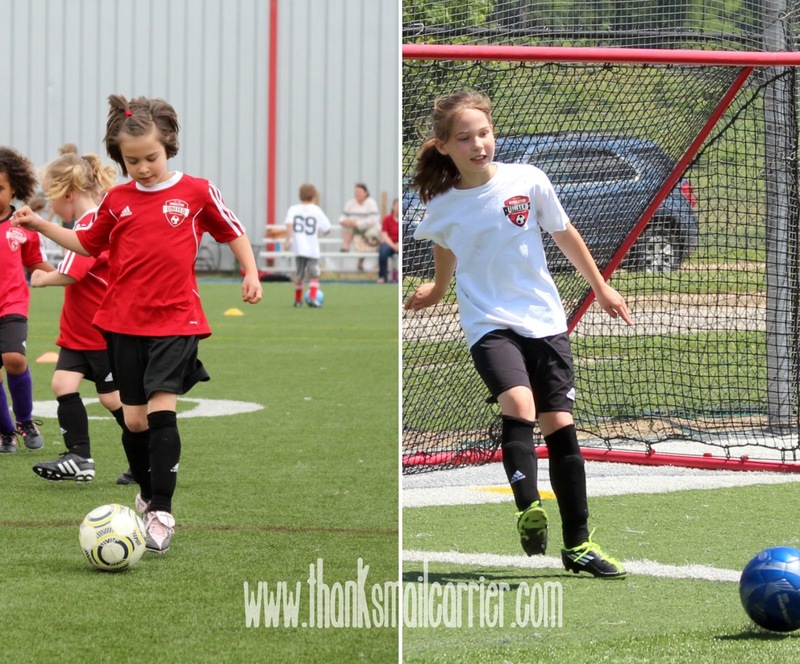 Soccer has continued to be a favorite for both of my young athletes and, after what feels like hundreds of games and practices, I know that my job is more than only encouraging and inspiring my girls to play hard. My other role is to keep them fueled up, driven from place to place, suited up in the correct (clean) uniform, and hydrated from start to finish! That being said, I always know that my athletes are first and foremost 'just a kid' and that at the end of the day it doesn't matter how many goals were scored or milestones were met. As long as they have continued to reach for the stars and have striven for their dreams, the game was a win! Which is exactly why I love the #Justakidfrom campaign from POWERADE. POWERADE believes that there is potential in all of us and, whether having reached successes big or small, we all start in the same place as everyone else: as a kid full of potential and big dreams. At the end of the day, we are all just a kid from somewhere. Pretty great, right? POWERADE also thinks that, with the right motivation, everyday athletes can realize their potential and one day be the professional athletes that they look up to. Every athlete in every league has a story waiting to be told! 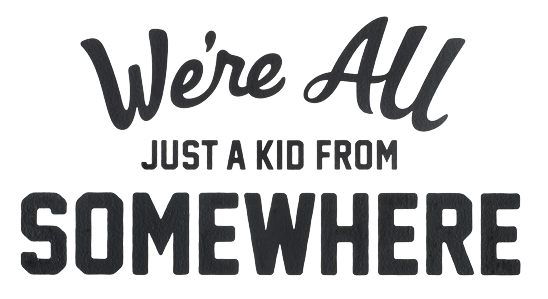 So why not show that off with custom "Just a Kid" apparel that features where you're from right on a stylish shirt, hoodie or hat? 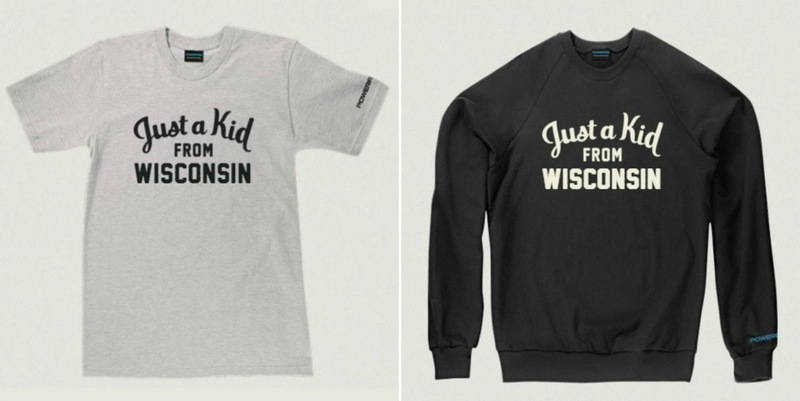 As well as looking fashionable, all net proceeds from the sale of "Just a Kid" apparel goes to the Boys & Girls Club of America! We were already POWERADE fans around here due to the way that it comes in great-tasting flavors and has been helping keep athletes hydrated for decades, but their focus on #Justakidfrom makes me appreciate it even more! Plus, did you know that the ION4 Advanced Electrolyte System POWERADE contains helps replenish four electrolytes (sodium, potassium, calcium, and magnesium) lost in sweat? Or that POWERADE is formulated with a 6% carbohydrate solution to help provide energy to working muscles, and vitamins B3, B6 and B12? That makes it even easier to keep our little athletes on the path to greatness by surrounding them with positive support and messages while also keeping them fully hydrated and in tip top shape! But wait, there's even one more reason and it's FREE! 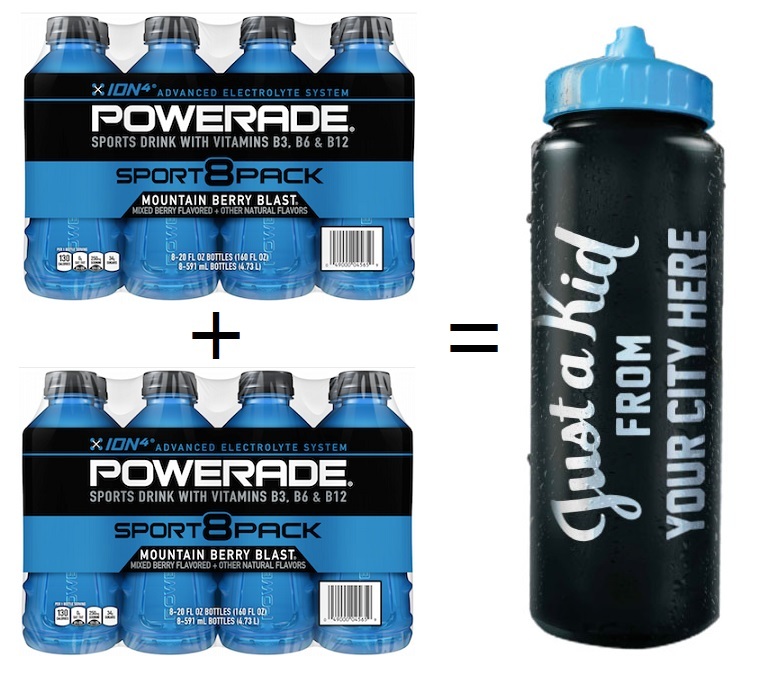 Simply purchase two 8-packs of 20 oz POWERADE at your local Walmart and then head online HERE to submit your receipt and order a free custom "Just a Kid" reusable sports bottle! How fun! This offer is only good until April 4, 2016 or while supplies last, so be sure to visit the website for more info and head to Walmart to stock up on POWERADE soon. Be sure to connect with POWERADE on Facebook and Twitter as well as Walmart on Facebook and Twitter before continuing to cheer on your favorite athletes as they take their own steps towards greatness!